Free. In English. Registration is not required. Seating is limited and available on a first come, first served basis. 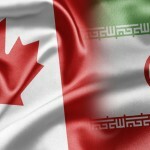 The Trudeau government has recently lowered economic sanctions and announced plans to re-open diplomatic relations with Iran. However, as the recent case of Professor Homa Hoodfar illustrates, Iran arbitrarily continues to detain innocent people and its human rights record has not improved under reformist President Hassan Rouhani. How should Canada balance its strategic and business interests in re-engaging with its commitment to accountability, inclusion, and human rights? If re-engagement leads to more Canadian influence with Tehran, how should it be used? Michael Petrou is a two-time National Magazine Award-winning journalist and author who has reported from across Europe, Africa, the Middle East, and Central Asia. His latest book, Is This Your First War? Travels Through the Post-9/11 Islamic World, won the Ottawa Book Award for non-fiction. Petrou has a DPhil in Modern History from the University of Oxford. He is also a non-resident fellow at the Montreal Institute for Genocide and Human Rights Studies. Thomas Juneau teaches at the University of Ottawa’s Graduate School of Public and International Affairs. He is the author of Squandered Opportunity: Neoclassical realism and Iranian foreign policy (Stanford University Press, 2015), co-editor of Iranian Foreign Policy since 2001: Alone in the world (Routledge, 2013), and co-editor of Asie centrale et Caucase : Une sécurité mondialisée (Presses de l’Université Laval, 2004). He has also worked for the Department of National Defence as a strategic analyst on the Middle East. *Please note: Photos and/or video recordings of this event may be posted on the CIPS website, newsletter and/or social media accounts.